Valerie Allen will be at the Meet the Authors' Book Fair on November 23 & 24, 2013 at the Eau Gallie Civic Center, Melbourne, FL from 10 AM to 4:30 PM. Author, psychologist, and speaker, she has written fiction, non fiction, and children's books. Her articles on parenting and mental health issues have been published nationally. She has two published novels, Sins of the Father and Suffer the Little Children. A third novel, Amazing Grace, is forthcoming in December. All three are considered psychological thrillers and focus on contemporary social themes. Her two books for children in grades two to five, Summer School for Smarties, and Bad Hair, Good Hat, New Friends, are popular with kids, parents and teachers to encourage self confidence and compassion for others. Write, Publish, Sell! is now in its second edition. This book has been beneficial to new and experienced authors striving to make their way from idea to the written word, and what to do next! This book is used as the basis for writer workshops and presentations offered by Valerie throughout the year. 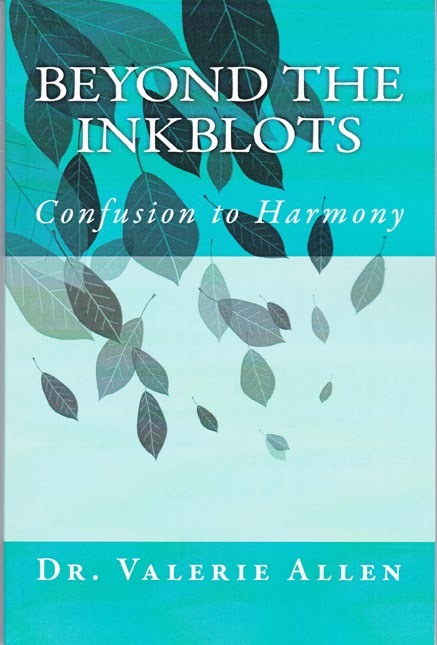 Her non fiction book, Beyond the Inkblots: Confusion to Harmony, is based on the psychology of every day living. Simple truths are presented for the reader to gain insight. The book focuses on personal responsibility that leads to a positive life style and inner peace. Beyond the Inkblots: Confusion to Harmony will be available as an audio book in December. All books are available at the library, on Amazon, Barnes and Noble online, Kindle, and Nook. Valerie is a long time member of the Space Coast Writers' Guild, the National League of American PEN Women, Cape Canaveral Branch, Authors for Authors, and is currently on the Board of Directors for the Creative Arts Foundation of Brevard. Dr. Valerie Allen is in private practice in Melbourne FL, and specializes in working with children with learning and/or behavioral difficulties. She is Nationally Board Certified as a School Psychologist and as a Certified Rehabilitation Counselor and Case Manager.